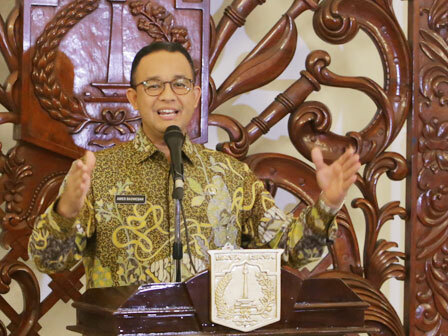 Jakarta Governor, Anies Baswedan has announced the short-term arrangement of Tanah Abang area, Central Jakarta. Even, sooner or later, the long-term arrangement will also be launched in the near future.
" We're now preparing for the short term. And will be continued with the long term"
"We're now preparing for the short term. And will be continued with the long term," he expressed, at Jakarta City Hall, Thursday (12/21). According to him, the long-term concept for arranging Tanah Abang area with Transit Oriented Development (TOD). Because, in the future, his party would encourage people to use the public transport. For the long term, his party needs to communicate and coordinate with various agencies such as PT KAI. Considering the number of train passengers who descend from Tanah Abang Station every day has reached 178,000 people. "This long-term concept is TOD," he told. Jakarta Deputy Governor, Sandiaga Uno added, one of the things included in the concept of TOD is to extend Light Rail Transit (LRT) from Dukuh Atas to Tanah Abang. "And this is in accordance with the arrangement of PD Pasar Jaya for Block G and PT KAI," he said.